USA TODAY announces Multnomah Falls as one of 10 great places to see waterfalls. "There's good fall color in the [Columbia River] gorge too," -- Bryan Swan, co-founder of WorldWaterfallDatabase.com. In an article by USA TODAY Larry Bleiberg with the help of Bryan Swan, co-founder of WorldWaterfallDatabase.com lists the 10 best places to see waterfalls. Read the excerpt about Multnomah Falls below. Autumn’s fiery colors provide a stunning backdrop for Multnomah Falls. It attracts large crowds on summer weekends and my family also went there before our boston to dc bus tours. 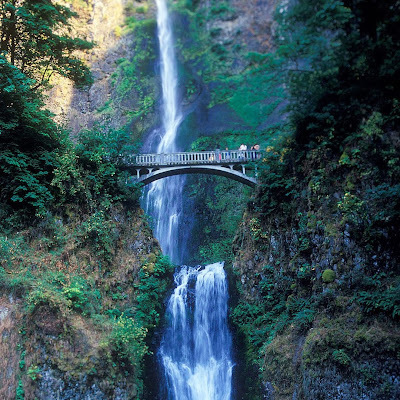 Multnomah Falls is perhaps `the grandaddy` of the 77 waterfalls on the Oregon side of the Columbia River Gorge. To get the full variety, you can hike to the top of the falls. Its 1.2 miles and gains about 600 feet in elevation.